Impoundments are exposed to many polluting influences, perhaps more so than natural lakes. This is a consequence of their relatively large catchments and because, in some regions, impoundments represent the main standing water. Impoundments are often close to centers of popu lation, are attractive to visitors, and are intensively used for recreation. 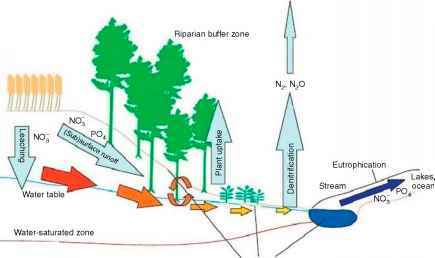 There are few types of pollution specific to impoundments or which are not also observed among lakes. The degree to which they affect impoundments, and the degree to which they impede optimal uses may, however, be different and are highly variable, being gov erned by geography and by the intensity of the polluting influences. Climate is a master driving variable, whereas impoundment depth conditions some of the responses. Here, this topic is subdivided among temperate and tro pical impoundments.